This new book on North Korea is extraordinary. Since the late 1990s the influx of analytical and documentary literature on North Korea can be broadly divided into two categories: those that exhibit the terrors of life in North Korea, and the rest that speculate on what is wrong with North Korea. 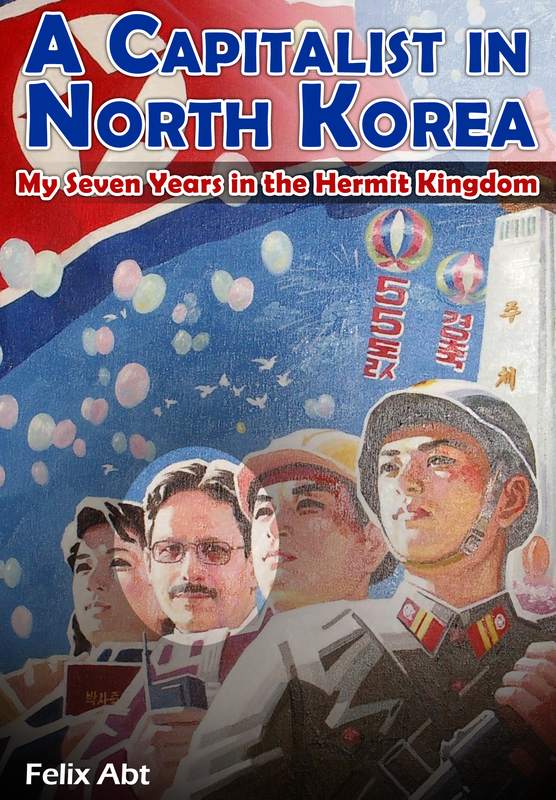 Felix Abt, a Swiss entrepreneur who lived and worked in the last communist Hermit Kingdom for seven years, attempts to depict life in North Korea as “normal” despite overwhelming ideological pressure from within and the harsh treatment from foreign powers. To date, only a handful of famed historians, such as Bruce Cumings and Gavan McCormack, have succeeded in showing North Korea from such an unusual angle. As a business entrepreneur, Felix Abt prefers to remain apolitical and impartial when sharing his thoughts and memories of the seven-year sojourn. His writing exhibits his love for Korea and genuine concern for its people. In his assessments of North Korea’s past and present, the author approaches all issues from a human (and humanistic) perspective, attempting to present life in the country sans political or ideological colouring. But documenting everyday life in the DPRK “as it is” is often inherently counterproductive to the goal of presenting North Korea as “normal” or even on the road to normality. Snapshots of life in North Korea, more often than not, exhibit the miserable lives of the common people alongside the growing wealth of the privileged and trusted groups in the capital, Pyongyang. The book strives to assure Western venture capitalists that North Korea is a land of untapped opportunities for diligent and sympathetic investors, but instead it seems to be more of a collection of horror stories about business failures and bankruptcies. Another important theme in the book is “how seclusion has shaped the attitudes of a people”, and “how war-mongering international politics are discerning for businesses”. Yet ultimately, it does not really matter whether the reason for the excessively high risk business environment is due to domestic contempt for capitalism or because of international sanctions. The reader is left with the impression that North Korea remains a black hole for foreign direct investment, just like it was under Kim Jong-Il or Kim Il-Sung. Felix Abt addresses the main and most intriguing question in the book, “can North Korea ever change?” by declaring that the process has already begun and is unstoppable. He calls it a “reform” and believes that the young North Korean leader, Kim Jong-Un, will bring about “new winds of change”. Kim has apparently “set out to reform one of the world’s last five communist countries” and “curbed the power of the military, surrounding himself with top-level civilian cadres who support the idea of glasnost for the country”. Unfortunately however, this statement is hardly substantiated by any solid evidence. Nothing in the book in fact proves that a substantial reform is underway. Packed restaurants, busy saunas and abundant food on the tables do not attest to an improved lifestyle for the population. People with money live and eat well everywhere, even in communist dictatorships. New stylish clothes, DHL vans or mobile phones do not fundamentally change a country in which information is censored, mobility restricted, and dissidents executed. New blocks of apartments, supermarkets and imported cars are merely signs of growth, and do not necessarily indicate real improvements in citizen livelihood. We cannot expect a reform to be initiated by the communist dynasty, which singlehandedly rules half of a divided country, the other side of which is now free, prosperous and democratic. If the Pyongyang regime were serious about economic and social reform, and finishing the Korean War, recognition of the Republic of Korea (South Korea) would be the first step in making reform plausible. Yet this is impossible so as long as the Kim family is in power in the DPRK. A reformed North will sooner or later merge with the more advanced South, where there will be no place for the revolutionary dynasty of the Kims and their idiosyncratic ideologies. Everything else is a mere imitation of reform; a cosmetic change designed to maintain the painful status quo. Nevertheless, Felix Abt’s new book, “A Capitalist in North Korea”, is a precious account of a long-term resident of the Hermit Kingdom. Some readers may disagree with author’s conclusions but everyone will find the content of this book fascinating. The book is destined to serve several generations of readers. These days, occasional travellers and business entrepreneurs will benefit from it but, as time passes by, economists, sociologists and historians will study this book as a rare perspective on the tragic episode of the Cold War in East Asia. (Anthony Sharwood, news.com.au, December 12, 2012) NORTH Korea launched its rocket today to flex its military muscles both at home and abroad, a leading Korean expert says. Speaking exclusively to news.com.au, University of Sydney lecturer Dr Leonid Petrov said North Korea had three main reasons for launching an intercontinental rocket. “North Korea had promised to launch the rocket between the 10th and 22nd of December, and they have kept that promise,” Dr Petrov said. “These dates are important because it is one year since the death of Kim Jong-il. “It was extremely important to them to launch this satellite and at this time. The new technology sends a strong signal to the domestic audience that North Korea is still a strong self-reliant economic power. “The second message they are sending is to the world. The third reason North Korea launched the rocket today is strongly related to the other two. “Basically, Korea has nothing to lose because of the UN sanctions against N Korea which have existed since 1950,” Dr Petrov explains. After initially passing over Japan and leaving fragments in the sea near the Philippines, the the rocket has now reportedly deployed its satellite successfully. Dr Petrov doubts that it will add much to North Korea’s overall communications infrastructure. “The technological value of this satellite is propaganda. It is a firework to commemorate Kim Jong-il and show the world they have intercontinental missile capabilities. Meanwhile, as South Korea calls an emergency meeting to deal with the crisis, Dr Petrov points out that general elections are just a week off in South Korea. (Tania Branigan The Guradian, 12 Dec.2012) North Korea’s successful rocket launch has provoked rapid and widespread condemnation, with the United Nations secretary general, Ban Ki-moon, deploring a clear and “provocative” breach of security council resolutions. However, a tempered response from North Korea’s main ally, China, which expressed regret but called for a careful reaction, suggests that a push for fresh action by the world body is likely to struggle. A Chinese foreign ministry spokesman, Hong Lei, said dialogue was the way forward, adding that China believed the council’s reaction “should be prudent and moderate and conducive to maintaining stability and avoiding escalation of the situation”. Earlier the White House condemned the act as an irresponsible decision that threatened regional security, while in Britain the foreign secretary warned it would increase tensions and urged Pyongyang to take constructive steps towards denuclearisation. South Korea’s president held an emergency national security council meeting and the country’s foreign minister, Kim Sung-hwan, warned that North Korea would face grave consequences. Japan immediately requested UN security council consultations on the launch, its foreign ministry said, describing the event as something it “cannot tolerate”. Morocco, which holds the rotating presidency, said the security council would hold closed-door discussions on Wednesday. The US, Japan and South Korea said last week they would seek further action by the council if the launch went ahead. Russia and China had both warned North Korea not to go ahead with the launch, but most experts doubted that they would allow a new resolution. Russia voiced “deep regret” on Wednesday, saying North Korea had defied the opinion of the international community. But Daniel Pinkston, the deputy director of the International Crisis Group’s north-east Asia programme, said that while China might sign up to a presidential statement from the council and criticise North Korea in private, he doubted whether it would take action “that really raises the costs” for the country. Rory Medcalf, the director of the international security programme at the Lowy Institute, said: “Even if it has achieved what it can claim is a satellite test with a civilian dimension, it does not detract from the impact this will have on strategic mistrust in north Asia. But he said that while North Korea’s move would have some negative impact on bilateral relations, it would not fundamentally affect them. Leonid Petrov, an expert on North Korea at the University of Sydney, wrote that the launch “sends the strong signal to the world that international sanctions against North Korea don’t work and it’s time to return to the negotiating table. The conference aims to bring together eminent scholars to share views and opinions on the Korean War. Scholars, researchers and students are welcome to attend. Take the subway to the Dongjak Station and transfer to Subway Line 9 or 4. Get off at Indeogwon Station (Line 4) and take Exit 2. Then, catch a city bus or a taxi cab to AKS (about 8km).